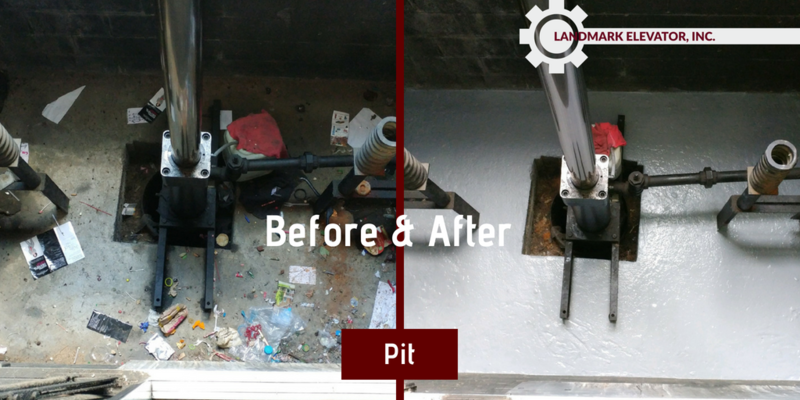 Preventive Maintenance in the Elevator Industry - Landmark Elevator, Inc. True preventive maintenance for elevator equipment leads to fewer callbacks and lower maintenance costs over time. Elevator equipment combines several complex, interconnected systems involving many moving parts and mechanisms. These powerful, yet delicate; durable, yet precise machines require special care in order to sustain performance and optimize the lifespan of the equipment. Elevators are essential to the functioning of most commercial buildings. Properly functioning elevators contribute to workplace efficiency and tenant retention. Furthermore, well-maintained elevator equipment will dramatically increase the marketability of commercial property and could lead to increased leasing rates. However, too often preventive maintenance is neglected. This can come about in several ways. First, building owners or managers sometimes avoid signing a maintenance agreement, preferring to roll the dice and take their chances. They hope that the cost of repairs will be less than the cost of maintenance. Unfortunately, that is rarely the case. While the consequences of not properly maintaining the equipment may not be noticeable in the early part of the elevator lifespan, the chickens may come home to roost in the mid to later years. That is to say, it may seem to be a good idea for a while, but eventually, that lack of maintenance in the earlier years of operation will lead to more problems later. Regrettably, even with a maintenance agreement in place, preventive maintenance may not be happening. It’s important for building owners to read their elevator maintenance contract, and to hold the elevator contractor accountable. Read more about assessing your contract here. So what about the safety code, governing authorities, and inspectors? Recently, codes have been adopted requiring more stringent maintenance record keeping and performance. While there is much hope within the industry that these changes will legislate good maintenance, there is a long way to go. Already, I’ve seen evidence that some of the major providers in the industry have found ways to weaken the requirements or side-step them completely. Personally, I don’t believe it will ever be possible to codify good maintenance. This change must come from a well-informed customer not allowing themselves to be taken advantage of by unclear contracts and hidden costs. In the end, the inspectors and the codes they enforce exist to improve the safety conditions for all parties involved. So while they are an indispensable ally in that regard, they are not here to protect your bottom line. 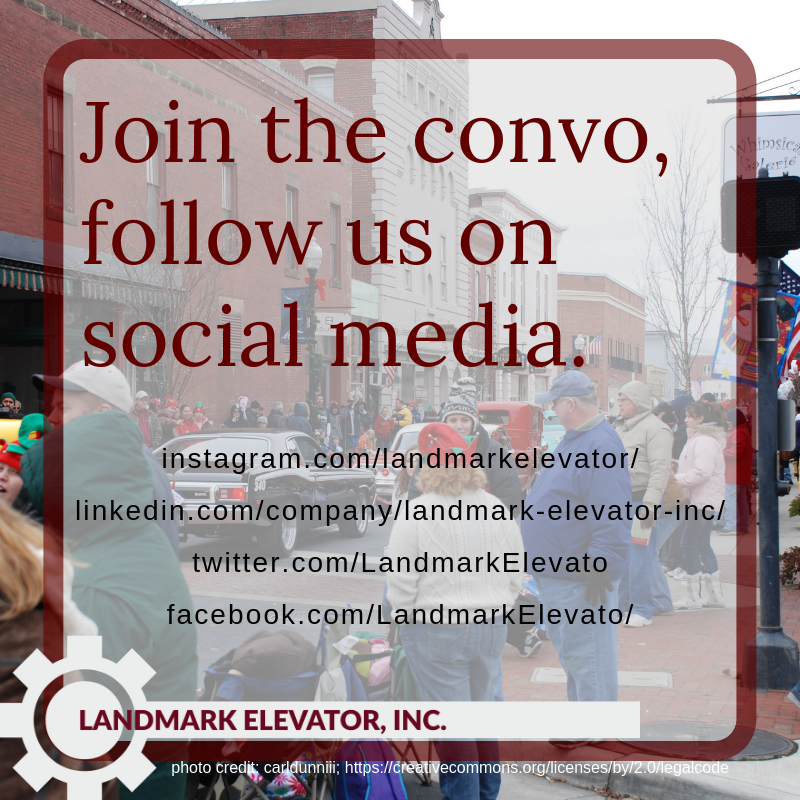 -William Block, Jr., President, Landmark Elevator, Inc.
Additionally, it’s important to note that all elevator maintenance agreements will have exclusions. Essentially, most elevator companies will not promise to cover problems that are beyond their control, such as acts of God, regulation changes, vandalism, or inaccessible components. This last item might include proprietary equipment for which the contractor cannot reasonably acquire tools or software. (Read more about proprietary equipment and designed obsolescence here.) Other common exclusions include work that must be performed by other contractors such as electricians, plumbers, or telephone service personnel. On the other hand, a well-written and fair contract should include coverage of things that affect the performance of the elevator. This means preventive maintenance. What is preventive maintenance, anyway? By definition, preventive maintenance seeks to avoid, or prevent, problems through regular upkeep. By detecting potential complications before they create bigger troubles, the astute elevator technician can help his client avoid costly repairs. Preventive maintenance should include regular periodic examinations of the equipment with special attention to moving parts. The technician will be looking for existing faults, signs of wear, or impending problems. Depending on the type of contract, these issues may or may not be covered costs, but nevertheless, they must be addressed promptly. 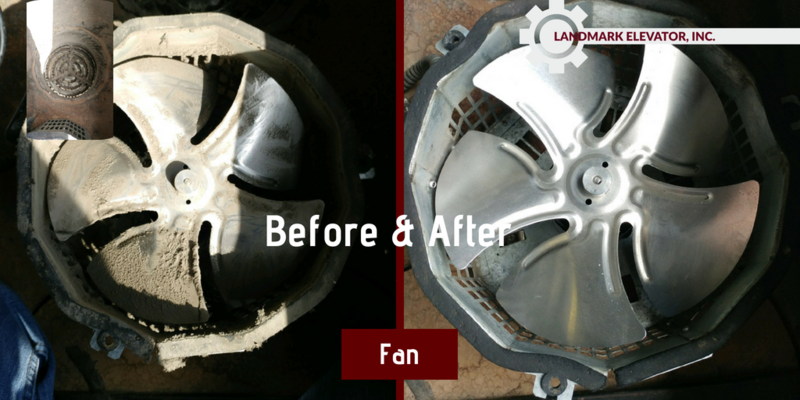 The technician will make the necessary adjustments, clean and lubricate the equipment, and replace worn or damaged parts. For example, the elevator doors under normal circumstances see a great deal of use. However, doors often receive a good deal of abuse. Passengers occasionally force the doors open. (Never a good idea.) Bulky carts and baggage may damage doors when loading or unloading. The door sill can develop a grimy buildup from the foot traffic of passengers boarding. A small foreign object can become lodged in the door track and disrupt the functioning of the door. Overall, the mechanical design of most elevator doors is very reliable, but the constant use, and oftentimes abuse, can cause problems. The doors can go out of alignment and a shutdown or entrapment may result. It doesn’t have to happen that way, however. With periodic maintenance visits, a licensed elevator mechanic can check for signs of mistreatment and readjust the doors, as needed. He’ll clean the door sill, being careful not to disturb the functioning of the light curtain or other delicate equipment. 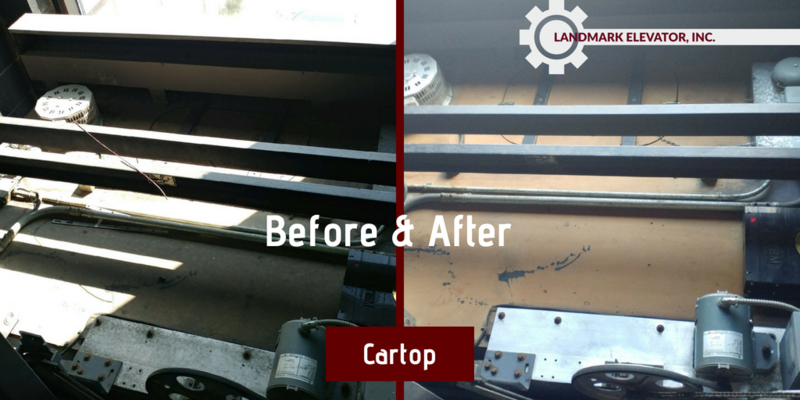 Preventive maintenance is vital to extend the life of elevator equipment. Consequently, it is also the best option for building owners to keep costs down in the long run, and to increase tenant satisfaction. Elevator companies that faithfully perform preventive maintenance retain customers and increase client trust. With preventive maintenance costly repairs, frequent shutdowns, or a premature modernization can be avoided. Elevators that receive routine care and adjustment are far more likely to provide a safe and reliable ride. Rupe, Eric. “Preventive Maintenance Helps Keep Elevator Costs Downs, Prevents Premature Modernization” www.Facilitiesnet.com, Trade Press Media Group, Inc. Web. June 21, 2018. “If this is Full Maintenance, Why are there so many Exclusions?” https://schmelevator.wordpress.com/ Phoenix Modular Elevator. Web. June 21, 2018.